I have my day job to thank for reviving my interest in making digital things. My company uses a program called FileMaker for most of its day-to-day record keeping. I had never heard of this program before starting there, and since they were in the process of switching to a different system I didn’t use it at all until after I’d been there several months when they decided to switch back and update. Now I am the most skilled person in FileMaker at the company. FileMaker was developed by Apple (which sadly means that, although there’s a PC version and has been for years, they have no plans to move to Android) and is a robust, highly customizable database management system. I’ve used a lot of different systems at my various jobs, but FileMaker is the first one (other than WordPress, which is a whole different thing) I’ve been able to dive into and modify on my own. Most of my coworkers had used FileMaker for years before the failed transition to our sister company’s data system (with a DOS-like interface that made me feel like I was visiting the 80s). I was given some brief instruction on how to use FileMaker for various tasks, and since I had used many other systems in the past I was able to pick of the logic of the program quickly. Two things rapidly accelerated my FileMaker experience within my first year using it. One, I found and asked the company to purchase an in-depth manual on the program, and I read that 900-page book from cover to cover. Two, I was asked to join in on discussions about upgrading the system with our outside development team. Those discussions almost became an apprenticeship for me in FileMaker. Since I was the one using FileMaker every day for the exact functions we were refining, I would beta test any changes made. I understood the underlying logic of the system and my company’s requirements, so I was able to pinpoint errors. Often, the outside developers would remotely connect to my computer to make changes, generally while they were on the phone with me. I watched how they did things and asked questions. I made small design changes, then minor changes and additions to the system, and now have gotten to the point where I built a custom system for payroll for my supervisor. 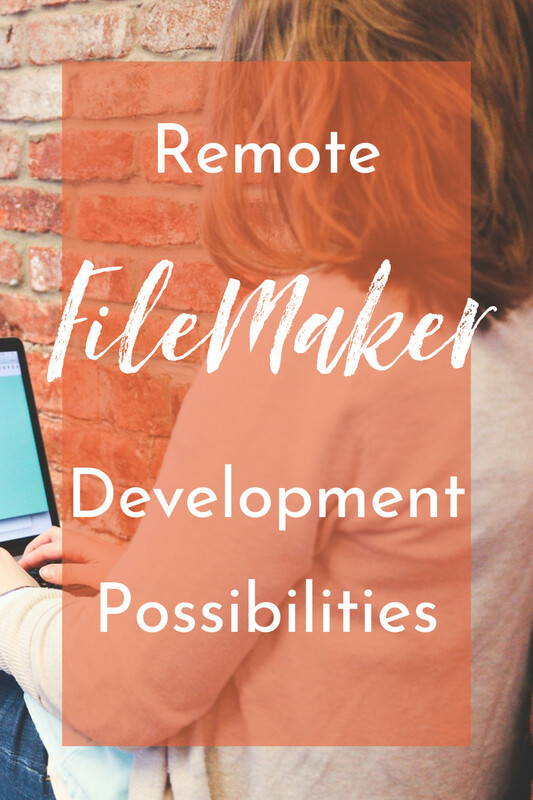 I’m hoping to use my FileMaker skills in the future remotely – connecting to clients’ systems and updating things as they need me to. Unlike Photoshop or HTML, FileMaker development is more of a unique skill to offer as a digital nomad – one that I am hoping will help me stand out and gain clients. 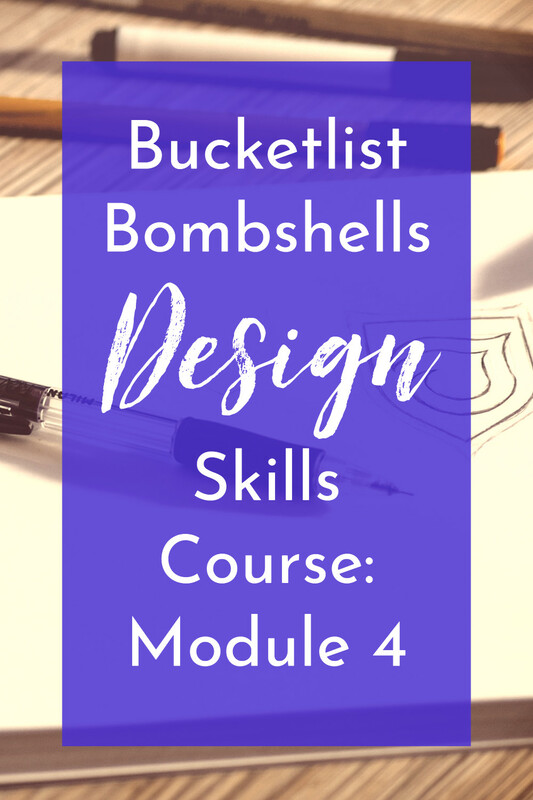 Module 4 of the Bucketlist Bombshells Design Skills course introduces students to logo design. 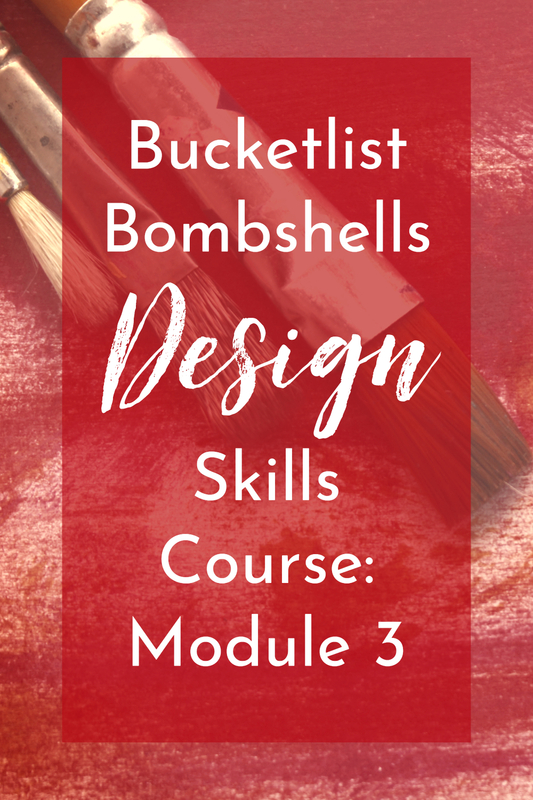 This is the module I was most excited about while I was considering purchasing these courses, and I thoroughly enjoyed it! This module consists of 7 videos for well over an hour of instruction. It starts off with an introduction to logo design, then provides several tutorials on how to find fonts and colors for your logos. I wish that Cassie had explained a bit more about font permissions for students that might not be aware of the differences. She downloaded a free font in the tutorial but didn’t mention that it was for personal use only and therefore would need to be purchased for client projects. This is especially important in logo design. Also, the font installation instructions only applied to Macs, so they might be confusing to PC users unfamiliar with the differences. After that, there were two longer videos where Cassie demonstrated her exact process for creating both a simple and a more advanced logo. It was very cool to see her turn some sketches into a full-fledged logo. Her process was truncated a bit for the tutorial, as she generally tries out more options and gives clients a choice between several variations. I was hoping that the advanced logo would have a bit more icon creation instead of just adding ornamentation to a simple logo. I wanted to see more of how Cassie used the various drawing tools in Illustrator, and it would have been also neat to see some text manipulation. In future updates of this course, it would also be helpful for students to hear some of the thought process behind the sketched ideas and how Cassie narrows down her selections before presenting to the client. 2. Never throw anything away as you’re designing! Just drag it off to the side so you can refer to it later if needed. 3. Textures can add beauty to a font or image. 4. Walk away from your work and come back to it later. You’ll see things you missed and get a better feel if the design is actually working. 5. 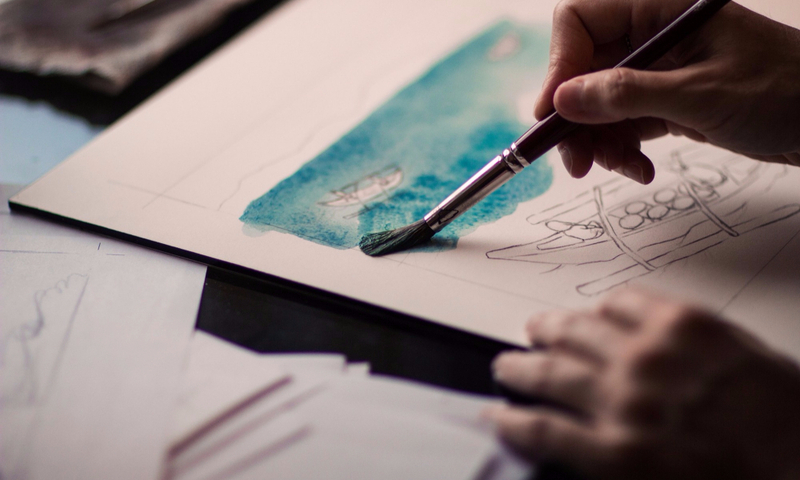 You don’t have to be great at sketching to be a great designer. About a month ago, I received an article in my inbox that stuck with me. 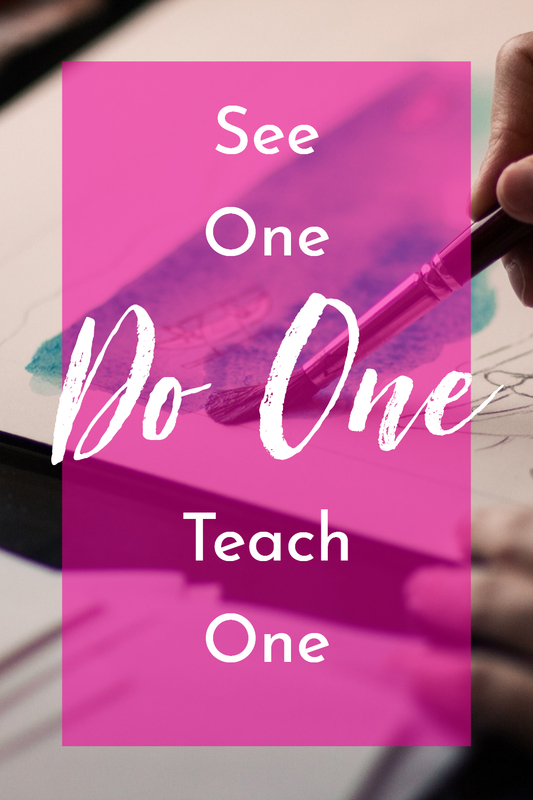 Paul Jarvis referenced the iconic John Hopkins teaching method of “See one, do one, teach one”, and explained that most people are too quick to pass over the middle step – do one. 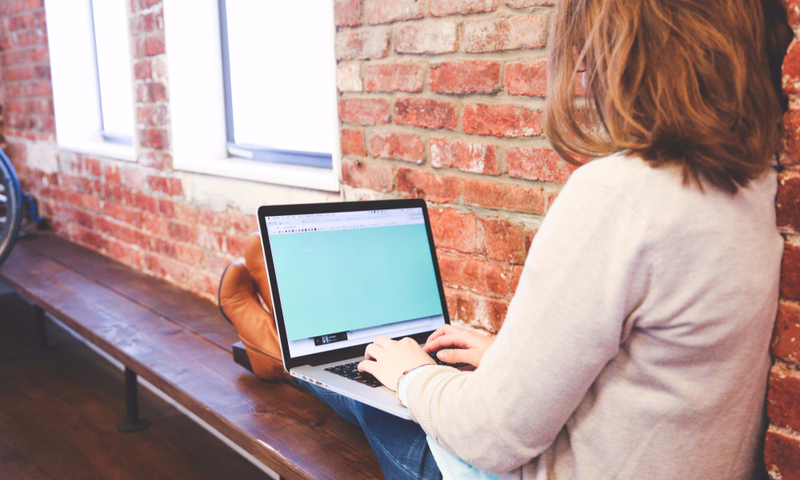 He noted that it’s especially visible within the booming online courses industry, where people learn something new and sometimes immediately churn out a course of their own on the subject. It caught my attention because I love to share new knowledge I’ve gained, and I was trying to figure out if I could create my own course based on what I know. My brain is stuffed full of all sorts of things, but it was hard for me to come up with something that people would actually pay me to teach. I thought perhaps it was a lack of confidence in my own abilities, but in fact, it was a lack of experience (a la my last post, Confidence and Courage). I’ve never been much of a doer. As a print learner, I grasped things best by reading them passively. I shared them with others via writing. It means I generally do well with text-based things. But if something doesn’t have the thrill of learning something new, or the thrill of helping someone figure something out, I lose interest. Which is why I can be very smart but also very insecure about my abilities. So, right now I’m trying to work on the doing part. It’s why I’ve committed to writing a blog post every day in May. It’s why I’ve set aside the idea of creating a course, for now at least. It’s why I’m taking these skills courses – even though more learning fits in the “see one” box, all the mini projects and the whole setup of a service-based business is about doing. Yes, doing is the boring bit of the journey that most people skip over. ***insert training montage here*** But doing is going to give me the confidence to get to the exciting part! What is something you need more practice doing? I am enjoying BB’s Design Skills Course more and more every module! 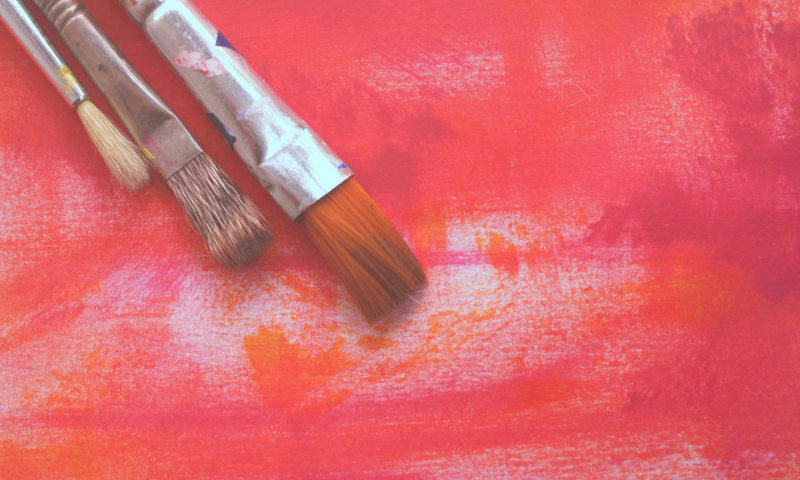 This one is all about creative briefs and mood boards. If you’ve ever wondered how designers go from getting hired to figuring out what their clients really want in a design, this gives you an inside look and a blueprint for your own initial client interactions! The module contains 4 videos 10-15 minutes long, adding up to almost a full hour of instruction. You start out by being introduced creative briefs – a survey-like document you send to your client to fill out about their tastes and preferences. 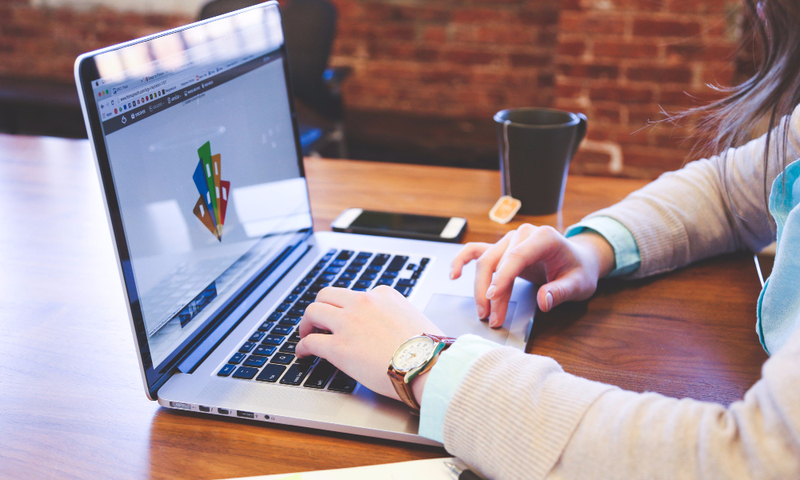 Cassie suggests using a shared Google Doc for this so you don’t have to keep emailing back and forth, and the course gives you a creative brief template you can customize for your own business! You then learn how to analyze the creative brief, and then move to creative research – which is super fun since it’s done on Pinterest! Cassie walks you through setting up a secret board on Pinterest for the project. 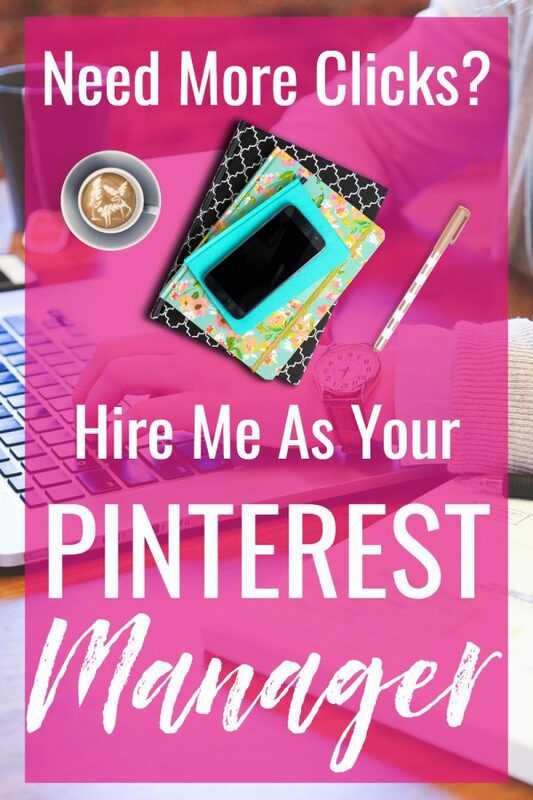 I was a bit concerned about copyright issues with using Pinterest images, but since the mood board is only supposed to be a reference point for both you and the client, not something you publish and make money from, it seems to fall under fair use (according to what I’ve gleaned online, I’m not giving legal advice). I do like that you can keep the project board to help track down the source of the images if you need to later (like if a client loves a particular texture and wants to use that exact one). After using the words from the creative brief to pin a number of images to your board, you look for similarities, save the best images, and arrange them artistically in Photoshop. Cassie provides a tutorial on how to do this, then it’s your turn! Students are given a creative brief from a fictional company, and tasked to create a mood board that meets the company’s requested aesthetic. The mood board I created had pops of fuchsia and teal mixed with gold and white. Cassie gave students 3 mood board templates to choose from, so you just had to place embedded images and create clipping masks, as well as pull colors from the images for your palette. That made the project simple enough for beginners and reinforced commonly-used Photoshop tools, but since the images and arrangements are your own, the project wasn’t cookie-cutter. I had seen several mood boards within the Facebook groups for the same fictional client before reaching this module, and mine was able to be its own thing. I finished the module excited about doing design work in the future and even wanting to figure out how to create my own mood board template! This is the biggest reason why I want to become a digital nomad – I got bit by the travel bug 2 1/2 years ago, and one trip a year is not enough! 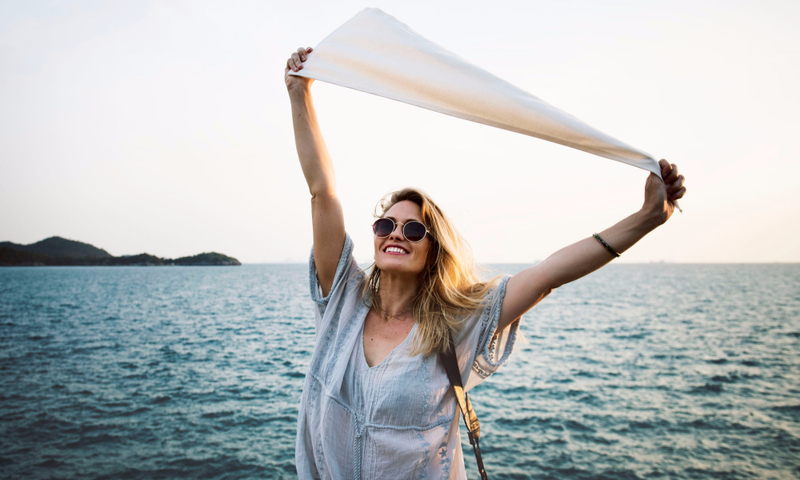 I used to think that I need to wait to travel until I was married, or had a lot of money, or had a big group of friends going. Now I know I can figure out most curveballs travel throws my way, and in fall 2017 I’ll get the chance to try a new challenge – solo travel in a country where English is not the primary language! I always try to see far too much in my limited time traveling – I want the freedom to linger. I want to spend 1-2 weeks (or more) in a city, not 1-2 days. I am not a morning person. My brain just doesn’t work well in the mornings – no matter how much sleep I’ve had the night before. I hate working 8-5 (though I know others have even earlier schedules), and I live for Friday and Saturday nights where I can stay up being creative (if I haven’t deprived myself of too much sleep during the week). My ideal schedule would be staying up till 4am and sleeping in till noon (I’ve even worked second shift before and done this). But I also want to be able to spend time with family and friends some evenings. While my job does allow for some creativity now that I’ve studied FileMaker and can do some development work, most of my tasks are boring and repetitive. 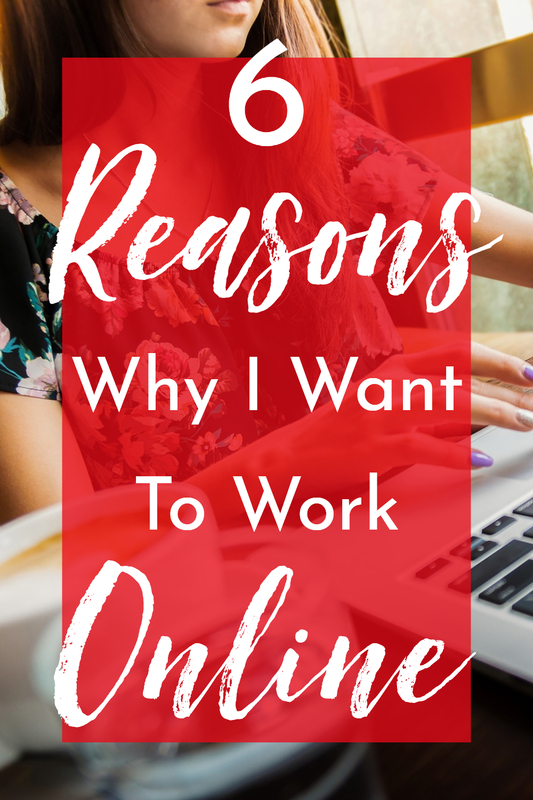 I do know that there will still be some repetition in any job, but if I am my own boss I can outsource and automate any tasks I don’t want to do over and over. I can say no to projects. I can set things aside and come back to them fresh. I can figure out new and better ways of doing things. 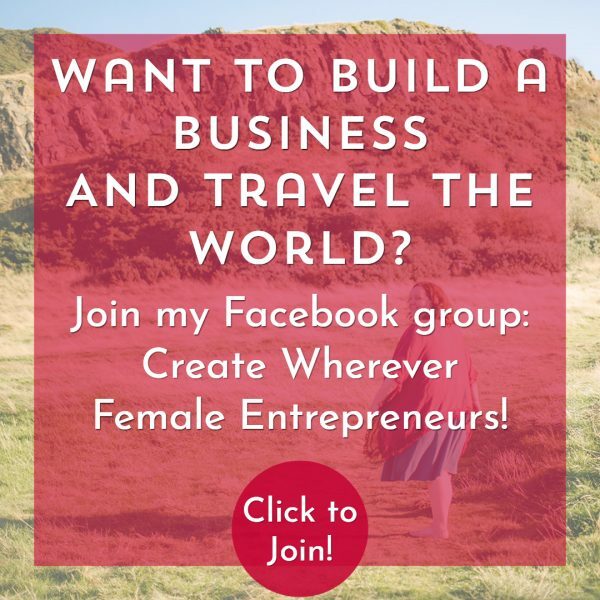 As a solopreneur, I will be in charge of how much money I make. I won’t be at the mercy of working a year or more before I get a couple more cents an hour. If I don’t have enough clients, I can hustle and find some. If I have too much work, I can raise my rates. I can develop products that earn me money while I’m out exploring castles and dreaming of ways to expand my business. 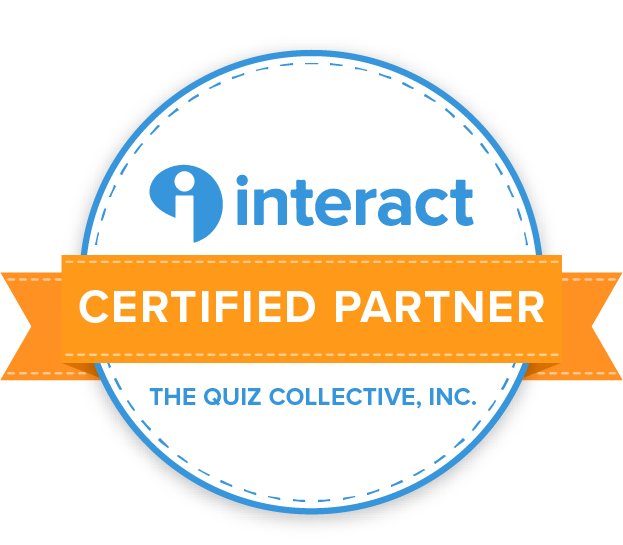 And I can help others earn money as well – whether cross-promotion, team-ups, long-term partnerships, or even employees. I love how supportive people can be in the tech/design community and in the travel community. I want to have more time to build and grow that community. I’m the type of person who sees a request for help or advice, and if I know anything related to the topic, it’s like catnip and I can’t help but try to assist them! I’ve spent hours researching problems and solutions for others for free. I want that to be part of my day-to-day workflow without feeling guilty about not doing “real work”. It will be my real work. I’m not the most confident person. I am always second-guessing myself and thinking that others are better than me. Building a business will give me something to look and say, “I did that!” whenever doubts come in. And I can create it my way, building on my strengths and eliminating the things that tear me down. I can spend my time working with and for the people who bring out the best in me. I can wander through new cities and build new friendships based on who I am at that moment and find more to like about myself every single day. 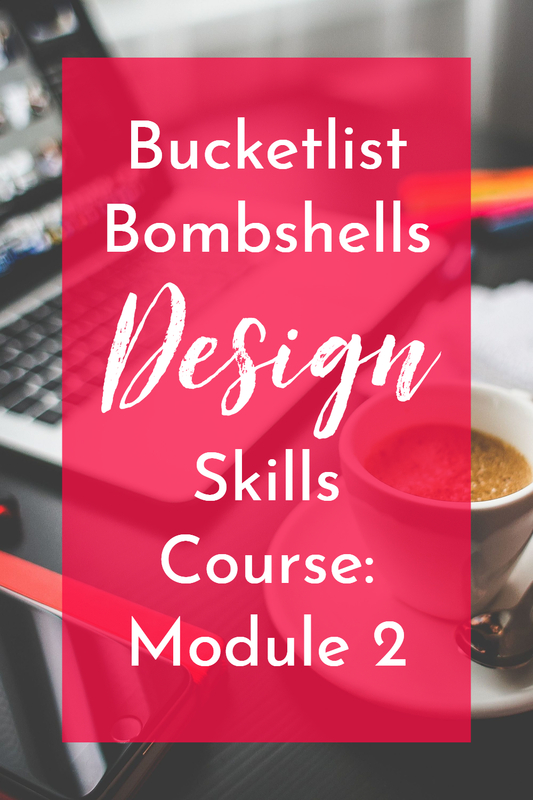 This module of the Bucketlist Bombshells’ Design Skills Course introduces students to Adobe InDesign, Illustrator, and Photoshop. I was very much looking forward to this module, and it did not disappoint! Like the previous module, this one consisted of three videos and nothing else (actual projects will begin later in the course). However, each of these videos last a half hour or longer, giving more than 100 minutes of instruction total! The first tutorial was InDesign, which I though was odd because most instruction usually starts with Photoshop as it’s the most popular. But, Cassie explains that as a designer, she primarily uses InDesign and Illustrator, and only occasionally uses Photoshop. I didn’t mind starting with InDesign as I had really enjoyed using it within Skillcrush’s Visual Designer Blueprint. As someone who has tried to create newsletters and other projects in Microsoft Word, the ease of formatting with InDesign is amazing and a great time-saver. Cassie gave a basic overview of the toolbars and layout in InDesign and many of the tools. Even with my previous introduction to InDesign, I learned a lot. Her teaching style, while a bit repetitive when teaching from a slide deck like in the previous module, really shines in these tutorials. She makes using these programs seem fun and easy, and my mind was churning with different ways I could apply the uses of the different tools to my own projects. Next was Illustrator. I hated Illustrator while using it in Skillcrush – the bezier curves were pure evil and I could never get my drawings to look clean and smooth. As someone who was never good at drawing realistic images, I was hoping it would be easier on the computer, but the Skillcrush Blueprint made me think that wasn’t the case. I don’t think I’ve opened Illustrator since finishing that class. But Cassie makes Illustrator seem effortless and fun to use. She showed different ways to create and smooth out a design, and introduced Adobe’s library of brushes and other cool tools to use when creating images. I’m excited to try some of them out! I did notice that Cassie seem to refer to opacity in opposite terms – when an item becomes more opaque, it becomes less see-through, not more. But since you generally only mess with opacity when you are decreasing it for a project, it’s easy to misunderstand the meaning. This is my only criticism on her teaching for the entire module, which says a lot! Very impressed by this module. The last video was all about Photoshop, with which I am most familiar out of Adobe’s products. Cassie did a run-through of almost every tool in the regular toolbar, explaining their differences and similarities, and saying why you might use one over another. She showed their effects on one image, and gave a bunch of examples of different cases where you might need to use each tool. It was also helpful to see speed vs. accuracy with using different tools over the other, depending on the contrast in an image. Cassie only briefly touched on layers and organizing your workspace, which was something the Skillcrush Blueprint spent a lot of time on. Since I am taking both, this is giving me a more well-rounded education in Photoshop. I do think Cassie’s design approach fits my style more – I like jumping in with both feet, playing around with a project, and looking up stuff when I get stuck. This module excites me a lot for the rest of the course. I can’t wait to start working on actual projects!